In my much longer article about the “rebellious” winemakers of DO Penedès, I made but a brief mention of Irene Alemany and her winery, Alemany i Corrio. They are to a large degree, the anti-Penedès in that there is no grand cellar to welcome people (it’s a basic warehouse on a nondescript industrial corner of Vilafranca) and their wines succeed in humility and honesty more than marketing or anything else. Irene is no slick salesperson of her wines like others in the region can be. She speaks honestly and truthfully about what they’re doing. It’s no cleverly crafted ploy as it’s based upon her years of working around the globe, seeing how one can achieve excellent wines, and then importing that back to her home turf where she started making wines from her father’s vines in 1999. By anti-Penedès, I don’t mean that they were telling the DO to go screw itself however. It’s just that they came at their new project in a way that was atypical of the region in the late 1990s. 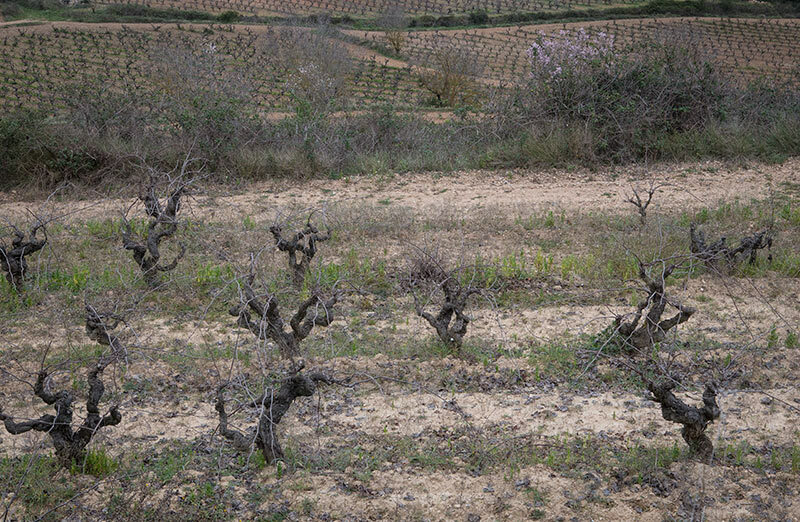 It’s hard to imagine now with all the “naturalmania” sweeping the wine world, but making a naturally fermentation wine was practically unheard of in Penedès at the turn of the century with maybe the exception of a few garagistes making some funk hooch under the radar. Their wines were and continue to be concentrated in terms of flavor. This is in a large part due to a 50% green harvest in the vineyard. In a region where maximum vineyard production and machine harvest is de rigeur, this too was unheard of. Ultimately they see a very small bottle production of 24,000 bottles a year and the craft and care they take with the wines is quite evident. And, it’s for this that I’m happy to finally get the chance to put up full tasting notes of the samples that Irene gave me when I visited in January. Earthiness, crushed red apples, old oak, lees, bit of currant as well. Bit more of cider aspect on the palate. Aged with medium acidity and body. A reference to a children’s poem and translates as, ‘The snail takes the wine.’ Pale lemon in color. Very aromatic in the nose. White blossoms, white pear, touch of orange pith, hint of peach skin. Lightly mineral in the mouth, good burst of citric pop. Medium body, medium plus acidity. Lingering finish. Well constructed young wine. More minerality of crushed rocks comes out with air. This wine was started to fund the purchase of a specific microscope at her local hospital. Bell pepper and roasted vegetable notes along with dark fruits. Smooth and even in the mouth with a medium plus body and medium acidity alongside pepper notes that drift in to the finish. Dark fruits, light plum notes, full and broad nose. Medium acidity, lovely balance in the mouth. Clean, level finish in excellent form. Dark ruby in color with little rim variation. Vegetal red pepper notes, wild forest herbs, red, ripe cherry. Full and balanced in the mouth. Light hints of tobacco and downplayed oak notes. Balanced and elegant with a dry, full tannin finish.